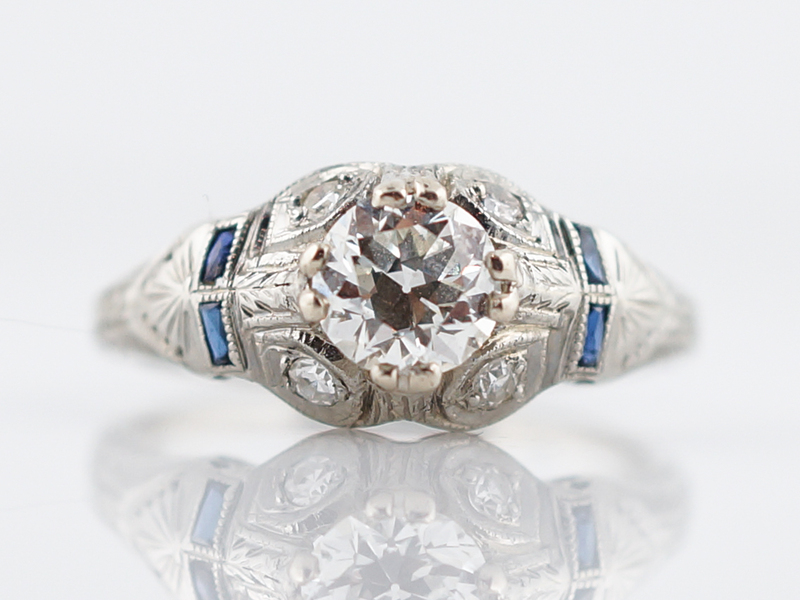 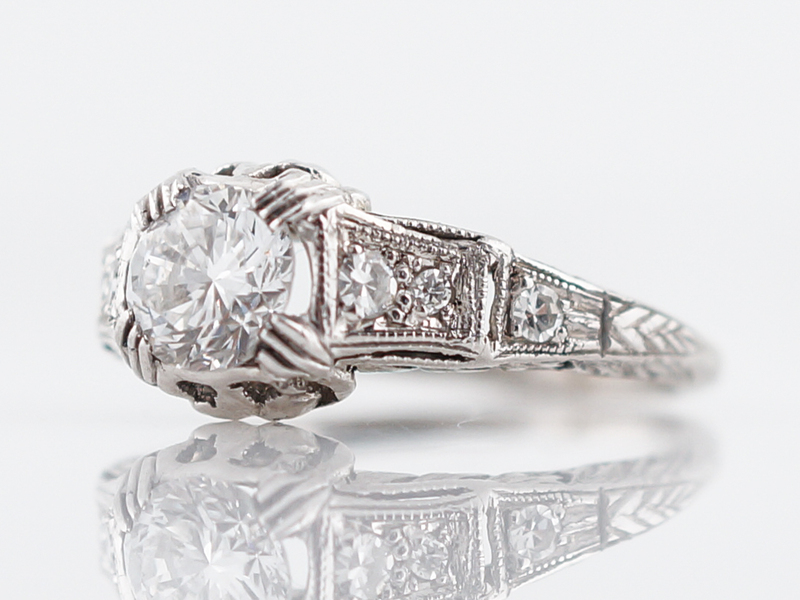 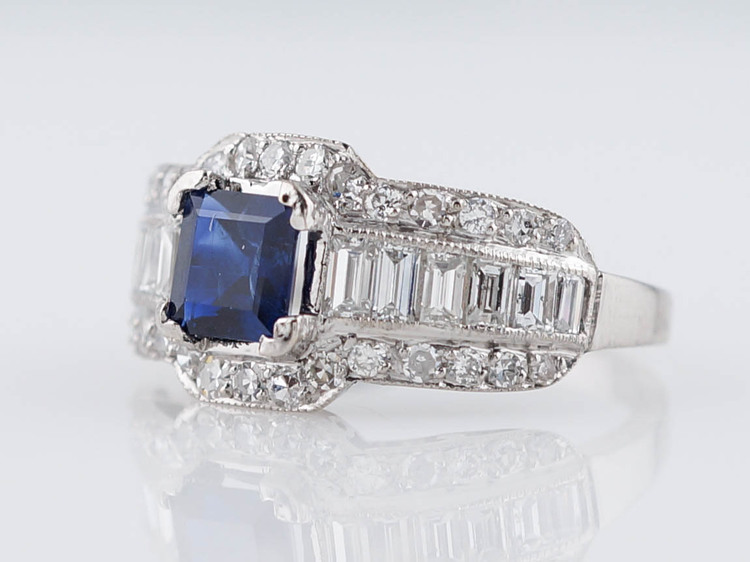 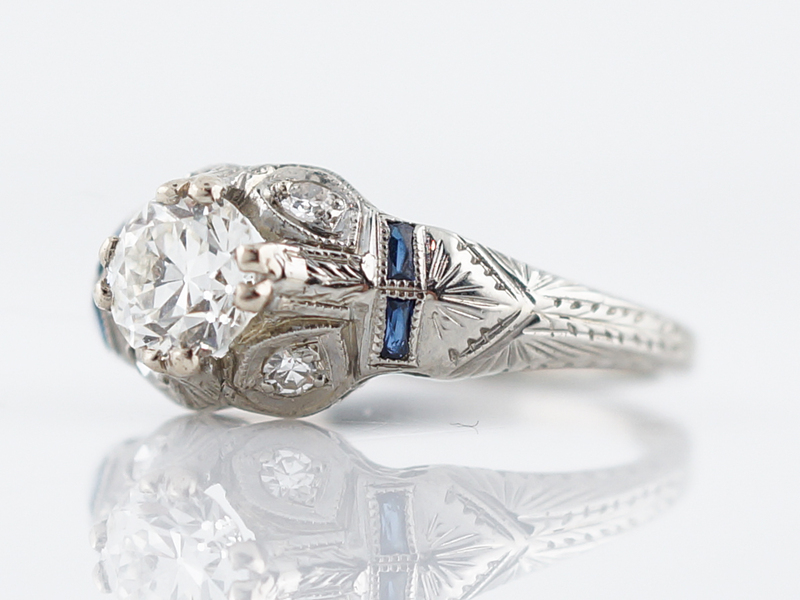 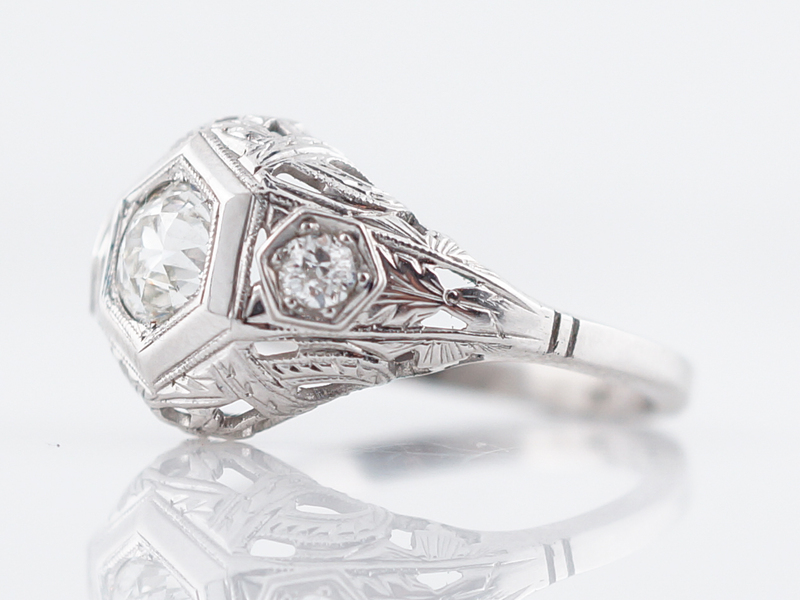 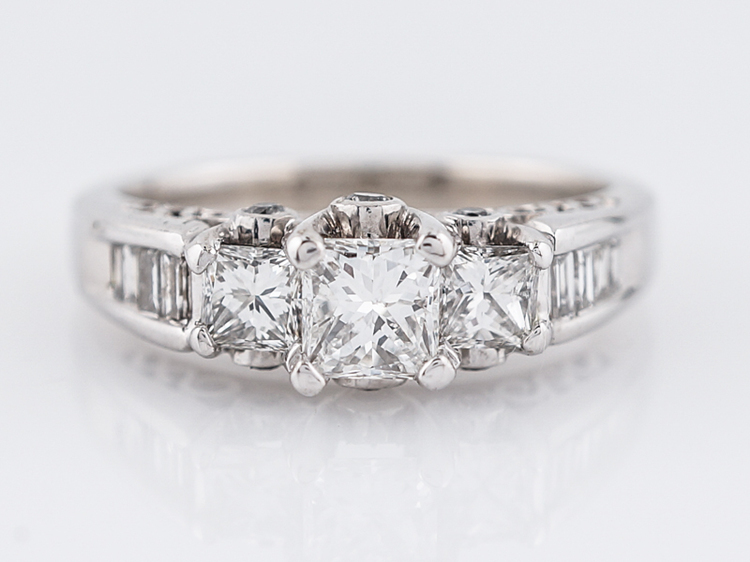 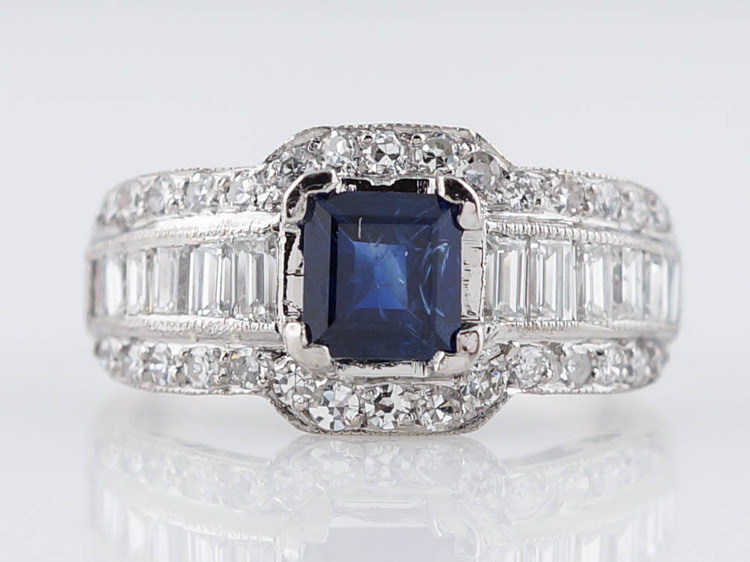 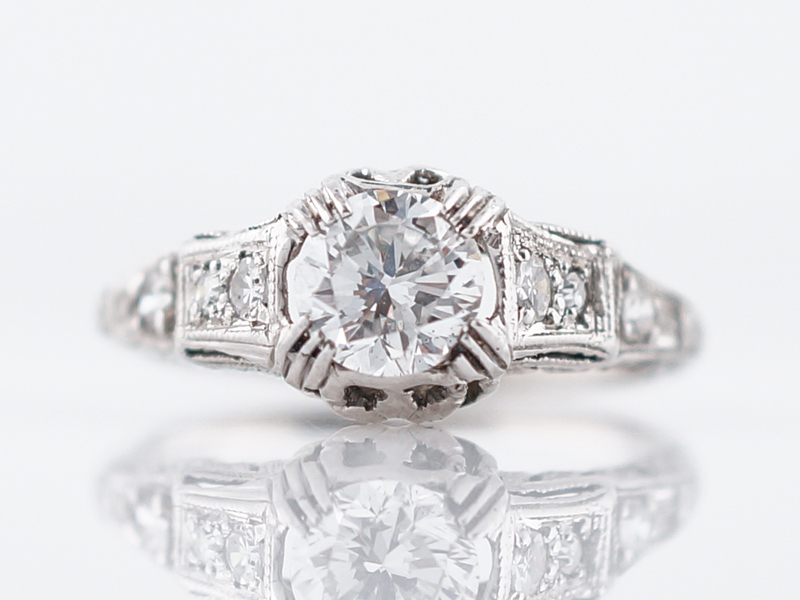 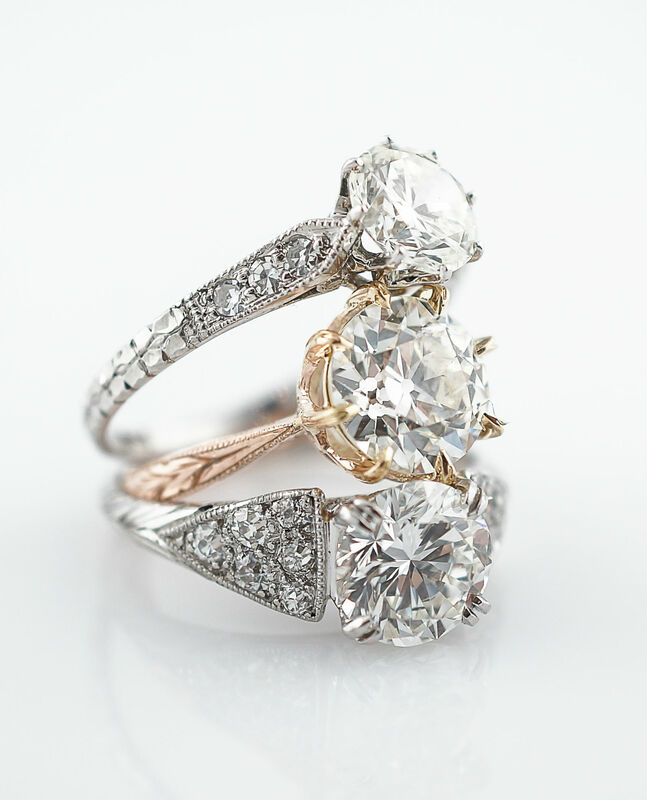 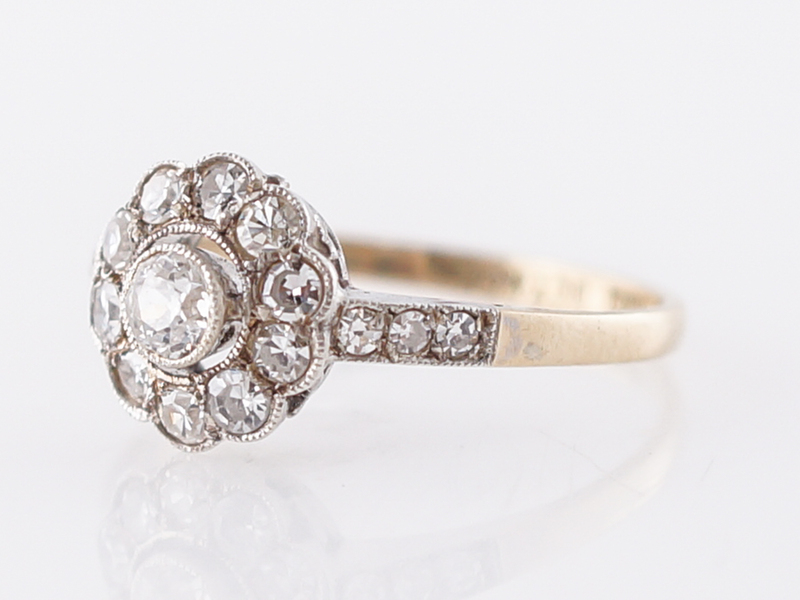 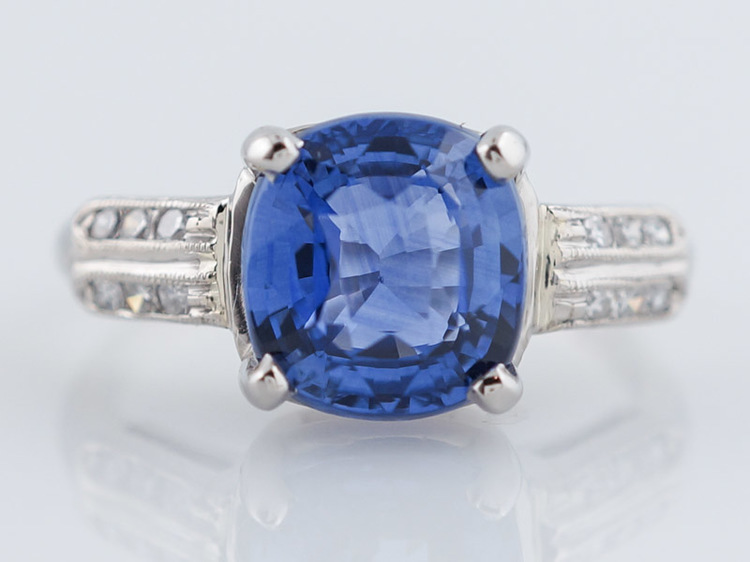 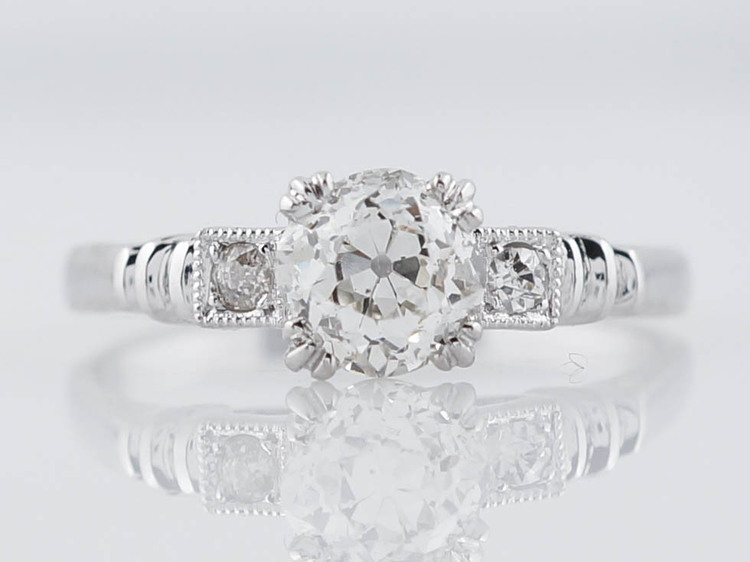 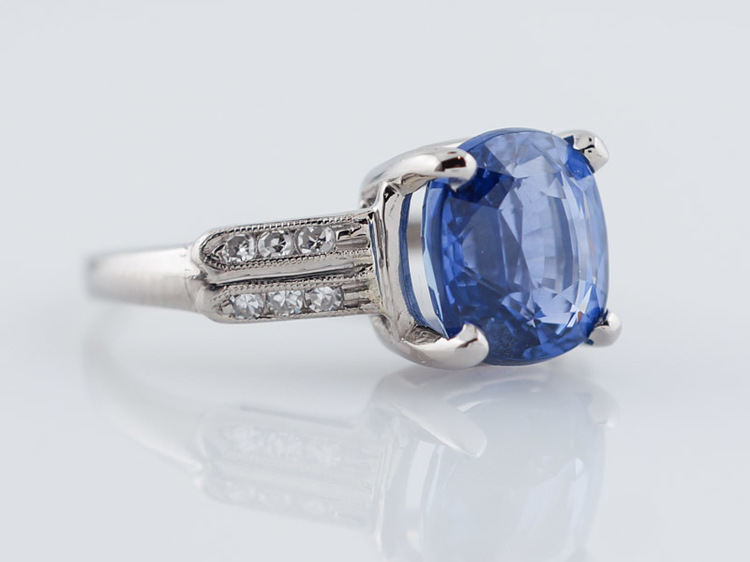 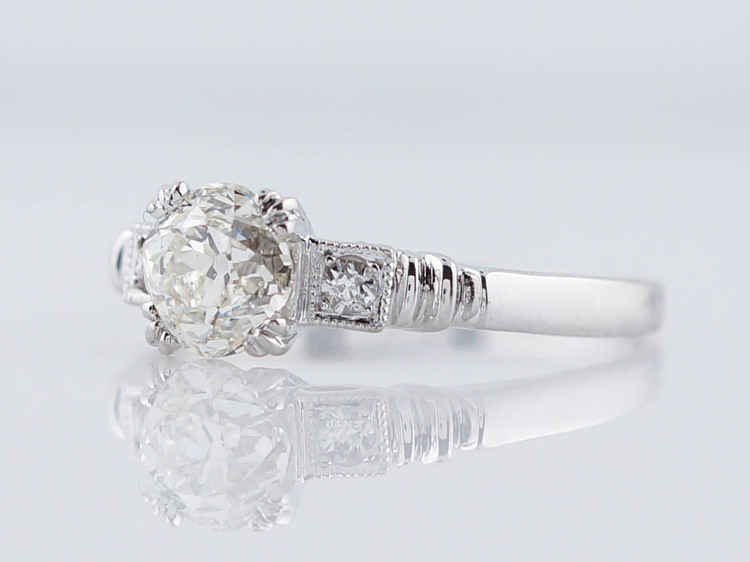 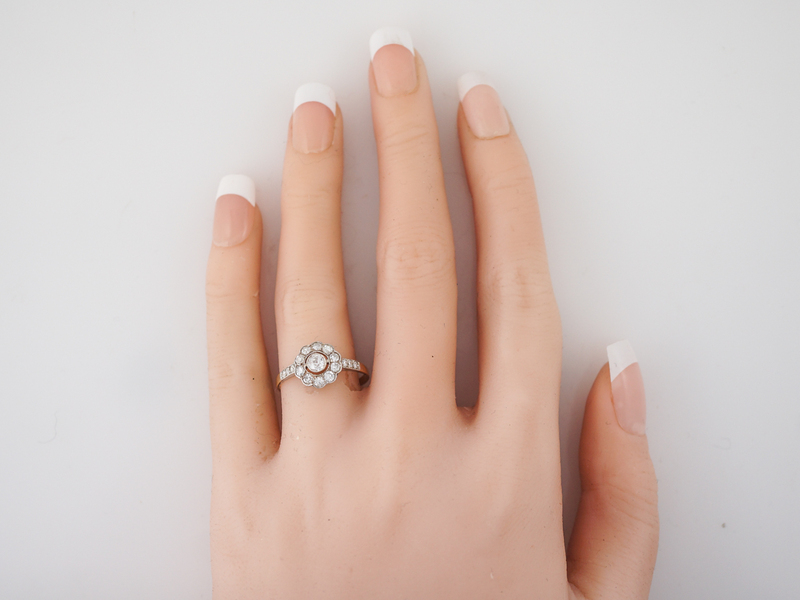 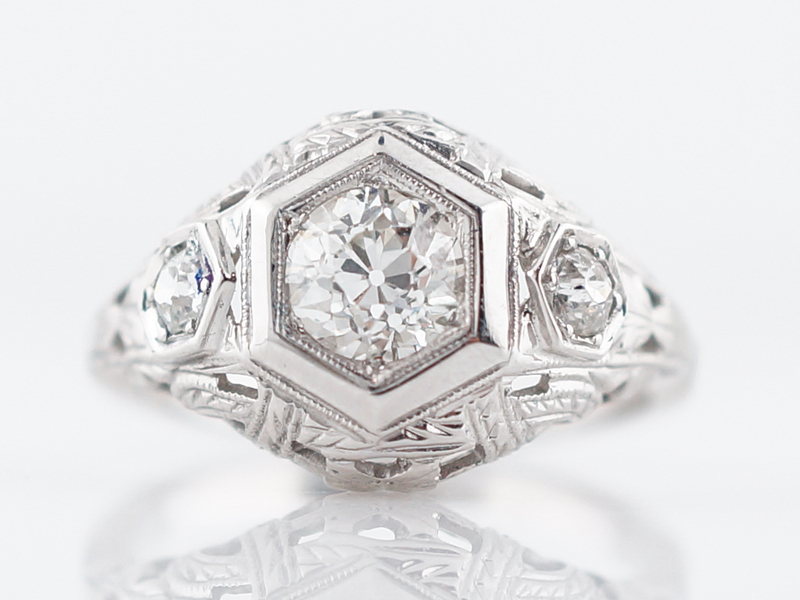 This vintage engagement ring is from the victorian era and features a bezel set Old European cut center stone. 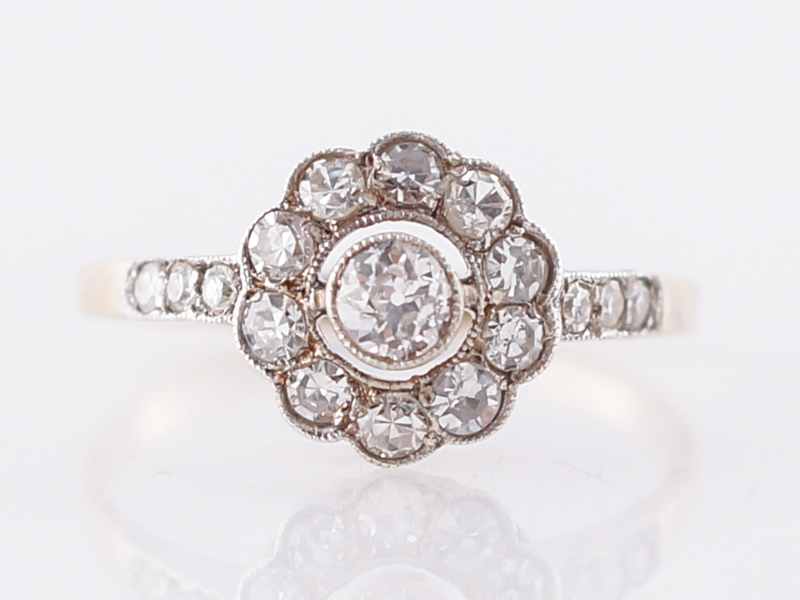 Surrounding this is a tidy halo of diamonds and both the center bezel and the halo include a lovely touch of milgrain detail. 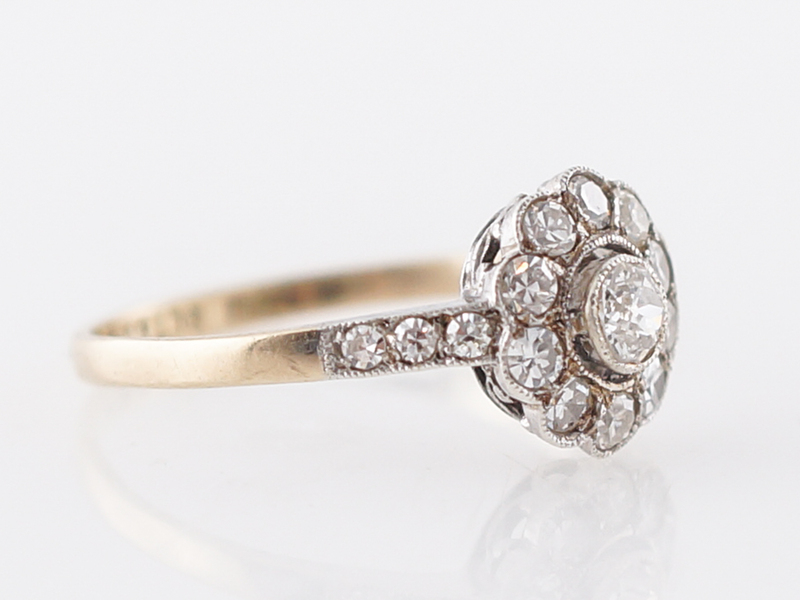 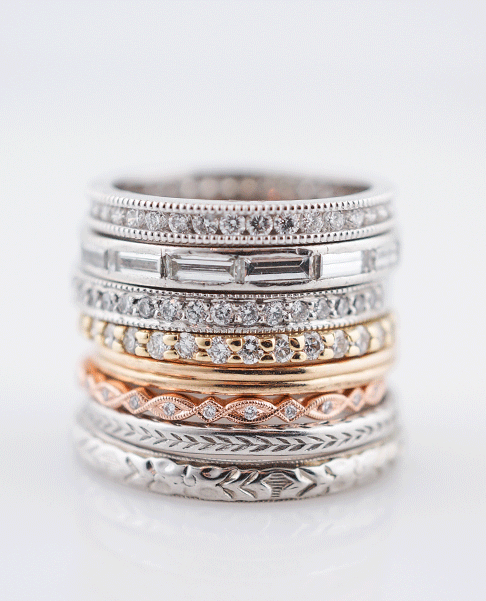 This delicate ring offers a two tone look with both 9k yellow gold and sterling silver. 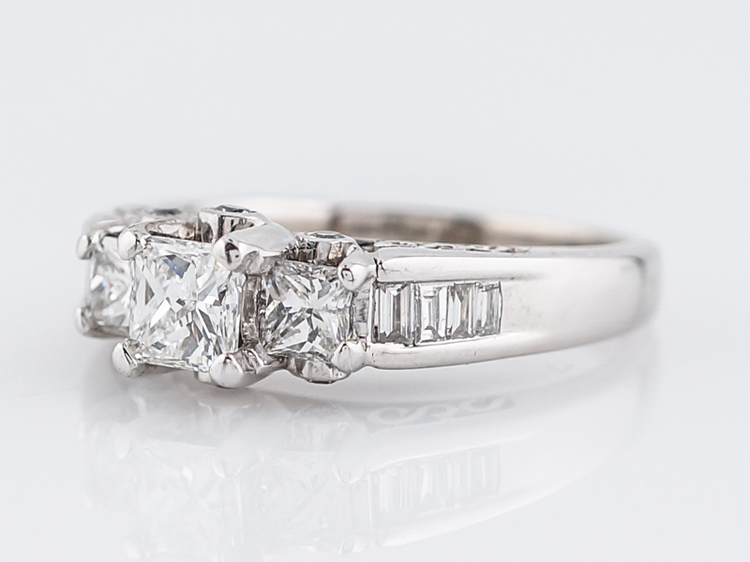 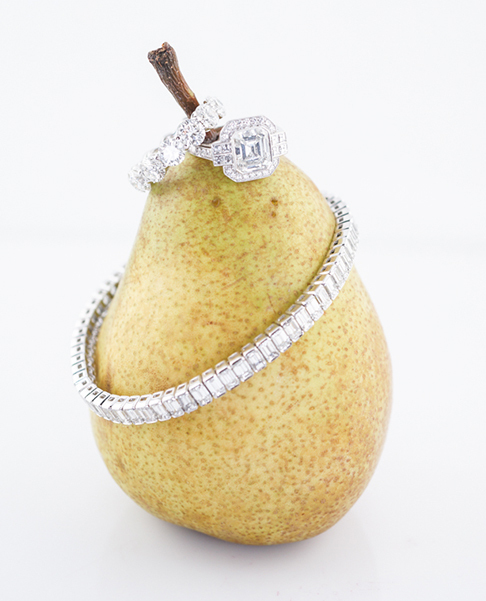 The shoulders are dressed will single cut diamonds for added dazzle and a total diamond weight of .64 carat.